Or top-mud the old one. Who wait on the line. 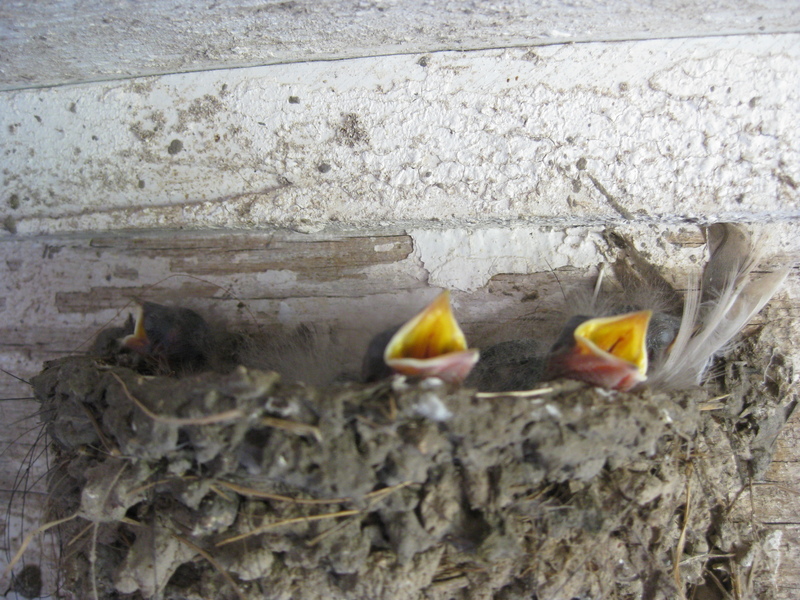 This entry was posted on Sunday, August 14th, 2011 at 8:55 pm and is filed under Curious farmer, Curious nature. You can follow any responses to this entry through the RSS 2.0 feed. You can leave a response, or trackback from your own site. Lovely foto of the birdie..and fabulously colorful poem! Love the next of little ones. I can just smell the fresh air! Thank you, Karen. 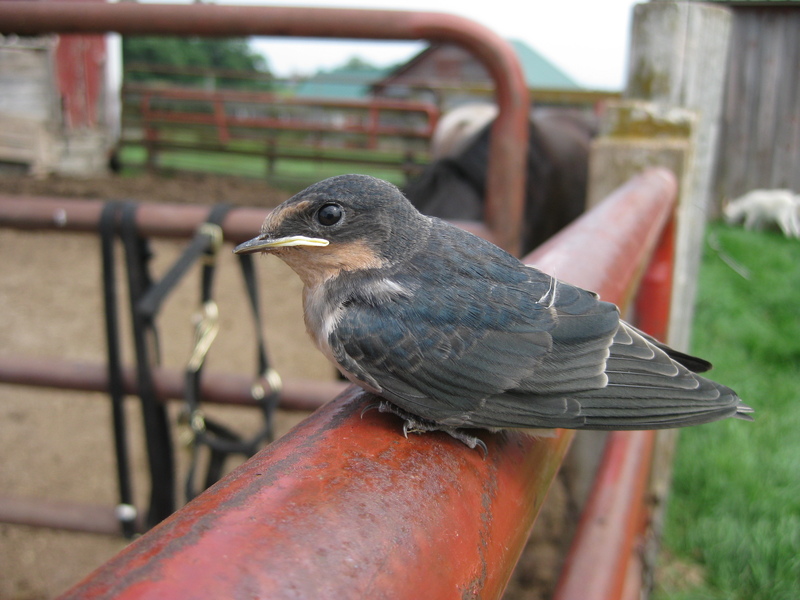 The Barn Swallow is my favorite bird, and I’m sure I’m not the first farmer to feel connected with them.